Disclaimer- Most of the dishes mentioned below are non vegetarian and whilst the following list is a meat lovers paradise, we apologize to the vegetarians for the lack of vegetarian options presented. Pa pa Ya is one of the few places that you enter with great expectations and leave with each and every one fulfilled. Having officially tried all branches of PaPaYa, including the one in Delhi, I can safely say that it is a Restaurant with a 100% guarantee for great food, good quality ingredients and fantastic service. 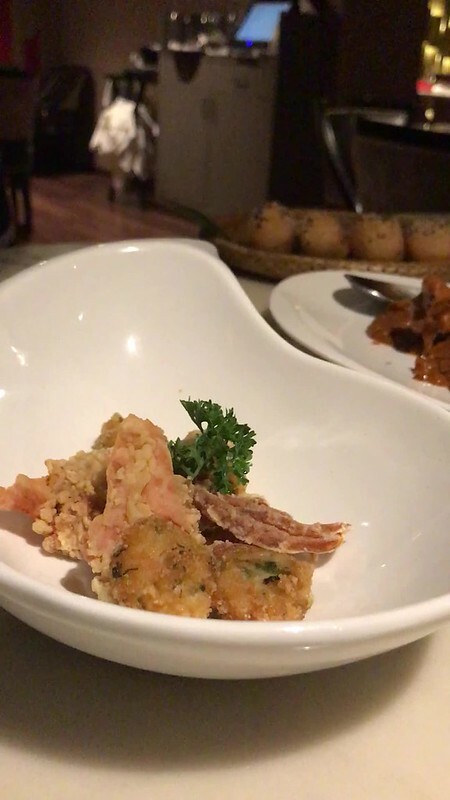 Each time I visit the restaurant I try to order some unique dishes that I haven’t had before and some of my favourites. I’ll start my review by listing some of my all time favourites followed by my amazing new discoveries. 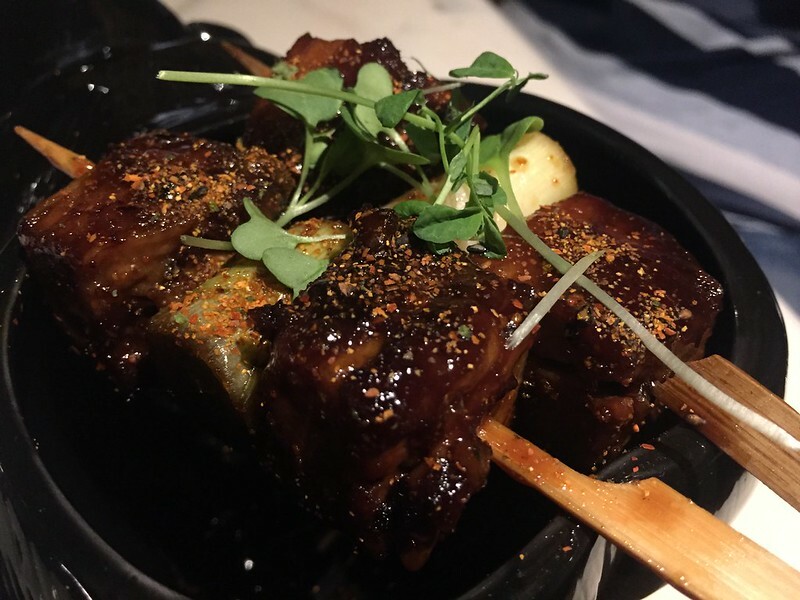 These perfectly glazed pork cube skewers come with a soy- honey glaze and are served with a spice powder and an apple salad. The fatty-buttery sweet pork with the spice paired with the fresh salad make an unbelievably perfect combination. 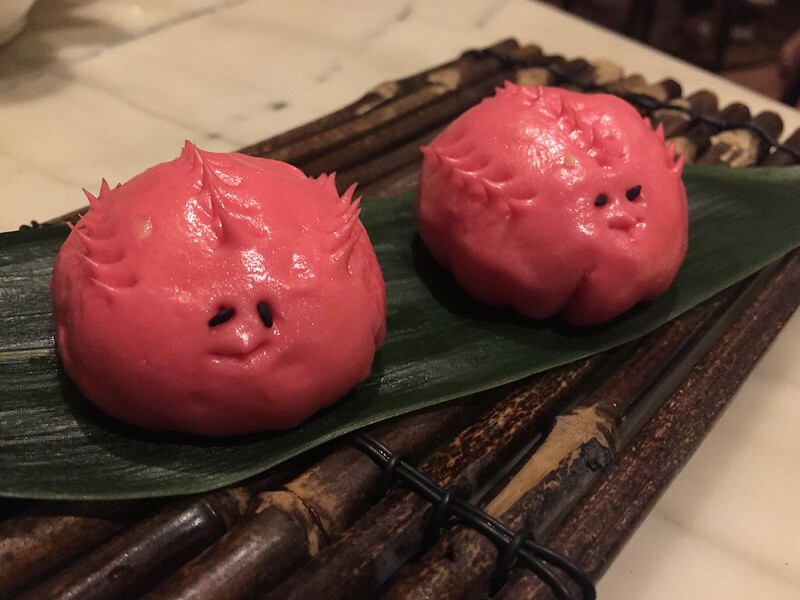 These adorable looking baos are not just a delight to look at but are a storm of a dish too. Delicate, fluffy and soft steamed rolls with soft flaked meat in a sweet sauce, what more could you ask for! This dish is what I’d call ‘Sashimi on Steroids’. 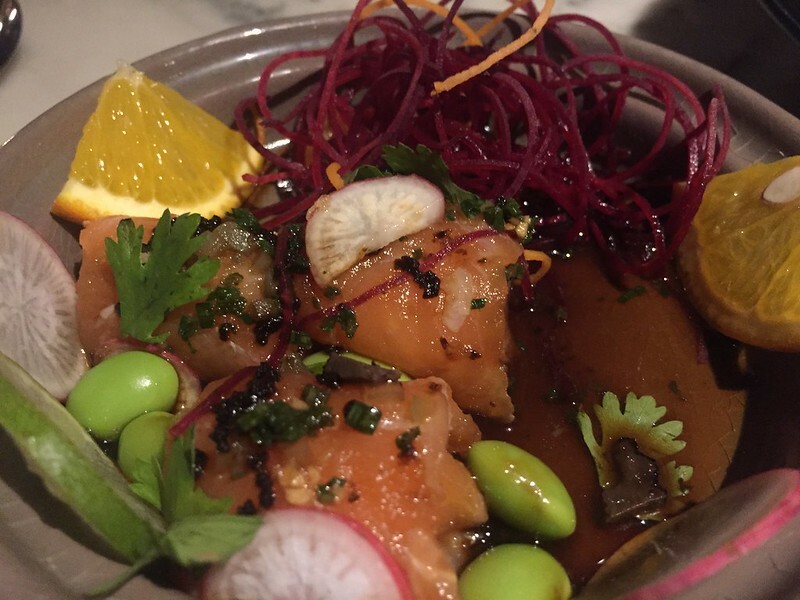 It’s an appetiser comprising of slices of fresh, cured salmon served with jalepenos and a soy-ponzu sauce. Ponzu is citric, tart sauce and it lends a background sour tone to the dish. Although it’s an intricate dish, requiring a lot of skill it comes off as incredibly effortless and light. Of all the sushi permutations and combinations available I think the Matrix is the perfect selection of sushi. It also comes with an assortment of nigiri and one of my favourites, Carbon Sushi. Carbon sushi has rice coloured with squid ink with crab stick in the centre. It also has some crisps adding a crunch to the soft roll. This dish is a prawn appetiser with large, meaty Prawns served in a sweet-spicy sauce alongside a Dehydrated slice of Pineapple. Now most people may treat that slice as a mere aesthetic gimmick or a mere garnish, but, no my friend that tangy slice is a lot, lot more than that. That slender slice is the balance of the dish. Take the next sentence VERY SERIOUSLY. Take one bite of the prawn and the next of the pineapple. That my friends is the only way to eat this dish. Thank me later! These are some dishes I tried for the very first time at the Colaba branch. This visit was also the first time I ate a proper main course here. I’m usually so besotted by the sushi and tapas that I can barely get there. So with this review I can assure you that you’ll be getting an all round opinion. …and yes, it’s awesome. This is Papaya’s take on an Italian pizza. 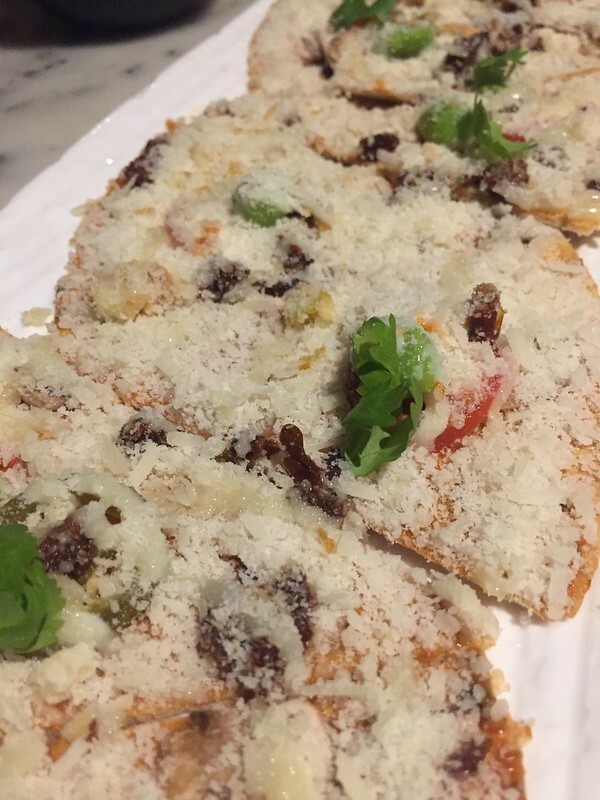 It’s made of thin corn tortillas, crisp to perfection topped with edamame, Parmesan and fresh truffles. The flavour of the truffles is radiant, raw and beautiful. Thanks to the simplicity of the ingredients each one gets importance and unlike other restaurants where truffles are just disguised or lost, here they are the true hero. I’m going to take a chance with this one. I’m not sure how many people would appreciate a dish like this because you need to appreciate cured fish, especially tuna to enjoy this delicacy. 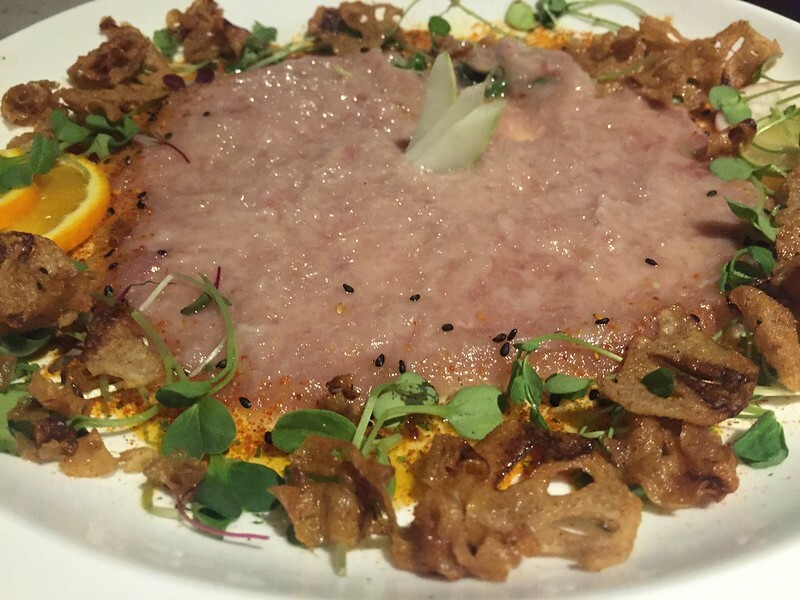 The dish comprises of mashed tuna meat served with a fish stock and soy sauce and some lotus root crisps. Subtlety is the strength of the dish. The meat when mixed with the sauce and had along with a crisp results in an explosion of textures in your mouth. The mildly sweet crisps are balanced by the salty and flavourful broth and fish. It may be an acquired taste but one worth acquiring for sure! This one is an ode to the Royal Mango. 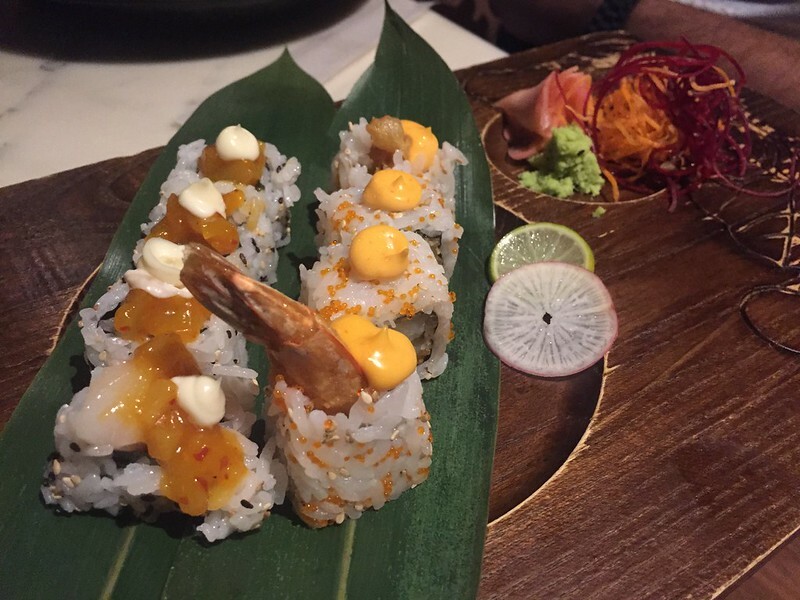 An Uramaki roll(rice outside,seaweed inside) with tuna at its centre is topped with a mango salsa adding a sweet twist to this favourite. Since I’ve had Rendang curry in so many places it is definitely not something I would ever order in a restaurant like Papaya but on a strong recommendation from the waiter I decided to go for it. I was pleasantly surprised by the strong flavours of the Curry and the perfect cook of the lamb just got my tastebuds rolling. That meat was falling off the bone and I could fall of my chair to eat meat as perfectly cooked as that. A total winner! I think the best way to eat a soft shell crab is to have it deep fried and that is exactly what this dish is about. Crabs fried to perfection served with an aromatic chilly sauce and a portion of buns. To be honest I wasn’t a big fan of the sauce but I loved the meat of the crab and the buns. I don’t think any words in my dictionary are capable of describing how impressed I was by this dish. All I can say is, if you leave PaPaYa without ordering this desert you have committed a cardinal sin. 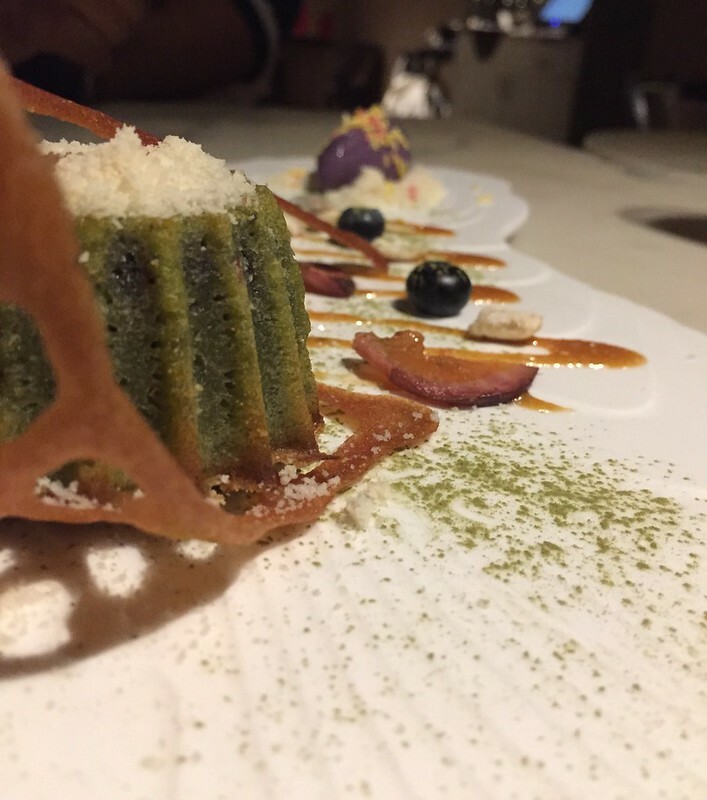 The outer layer of the desert is a matcha infused cake and the inside is pure, liquid hazelnut chocolate. As soon as the cake is cut the magic oozes out onto the plate and fills your heart with warmth and joy. 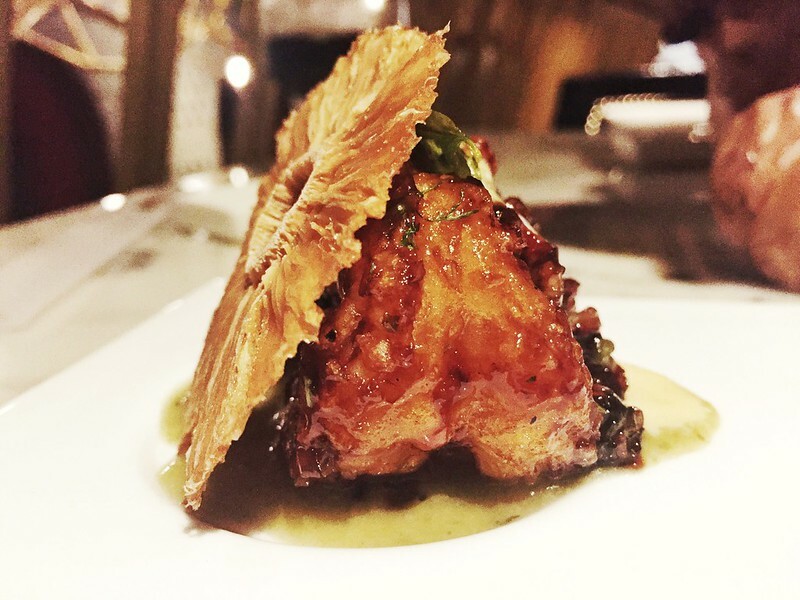 This dish is so perfect that even the tuile served on the plate is FLAWLESS. Every meal I have at Papaya makes me feel like they have outdone themselves and yet whenever I come back, they surprise me with more. If that isn’t a great restaurant, then what is?